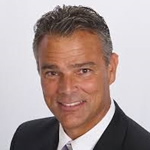 Dr. Robert Joslin has a Ph.D. in Aviation from Embry-Riddle Aeronautical University, a M.S. in Aeronautical Engineering from the Naval Postgraduate School, and a B.S. in Mechanical Engineering from the University of Florida. He is also a graduate of the Naval Justice School-Senior Officer Course, Newport Rhode Island.